A global cooperation platform has been launched to advance the fight against torture and ill-treatment worldwide: https://www.startnext.com/atlas-of-torture. The Atlas of Torture – developed by Ludwig Boltzmann Institute of Human Rights in Austria together with HURIDOCS – aims at providing the largest database on torture and ill-treatment, a map of organisations and activities as well as a learning and exchange platform for states, researchers, human rights defenders and the general public. Thereby they want to raise awareness, improve the access to information, strengthen cooperation and empower people worldwide. The project has already been endorsed by many human rights experts (from the UN SPT, Council of Europe, NGOs, academics and medical professionals). You will be able to view their testimonials over the coming weeks on the project’s Facebook <https://www.facebook.com/Atlas-of-Torture-115526871812308/> and Twitter <https://twitter.com/AtlasofTorture> channels. Amnesty International’s German branch has awarded its human rights prize to Egypt’s Nadeem Center. For the past 20 years, the center has documented torture carried out by security forces and treated victims at its clinic (the Nadeem Center for the Rehabilitation of Victims of Violence and Torture). 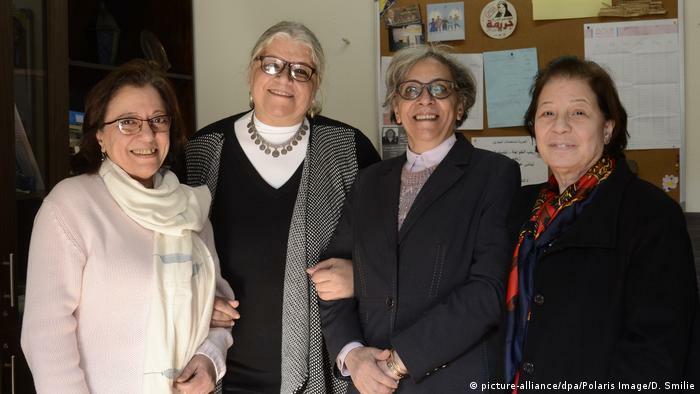 “We want to support all the courageous women and men who put their lives on the line in the struggle against torture, violence and despotism in Egypt,” said Markus Beeko, the Secretary General of Amnesty International in Germany, in a statement. For more information on this and other awards: http://trueheroesfilms.org/thedigest/awards/a-i-germanys-human-rights-award.